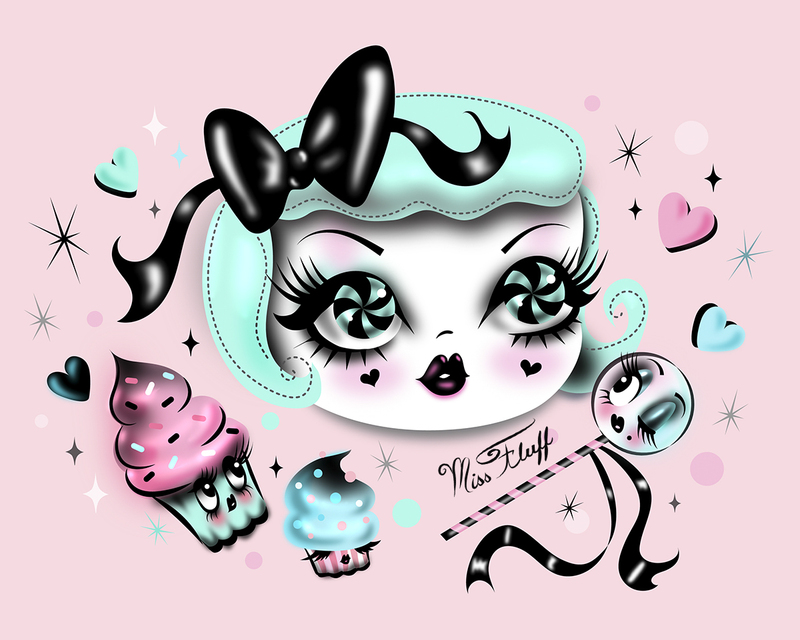 I am very exited to present my collaboration with Sugarcoma Clothing! Sugarcoma Clothing is the apparel line created by super talented Chicago based designer, Sarah Judy. 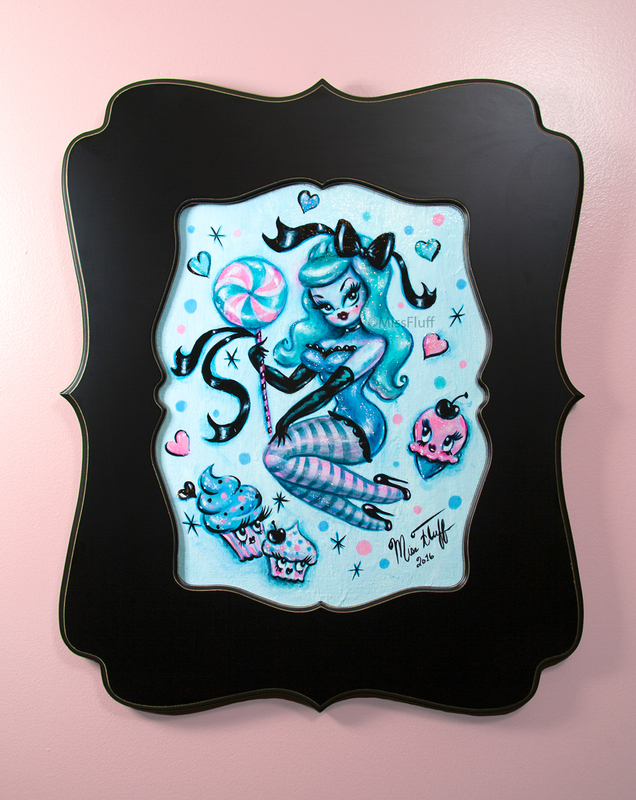 Her designs are whimsical and sweet but with a spicy bite! We found each other online and had mutual love for each others aesthetic. So we decided to make some magic together! Below is the result! I did the artwork and Sarah created the clothes. They are a limited edition of 200 pieces each. I hope you will enjoy the designs as much as we enjoyed creating them! 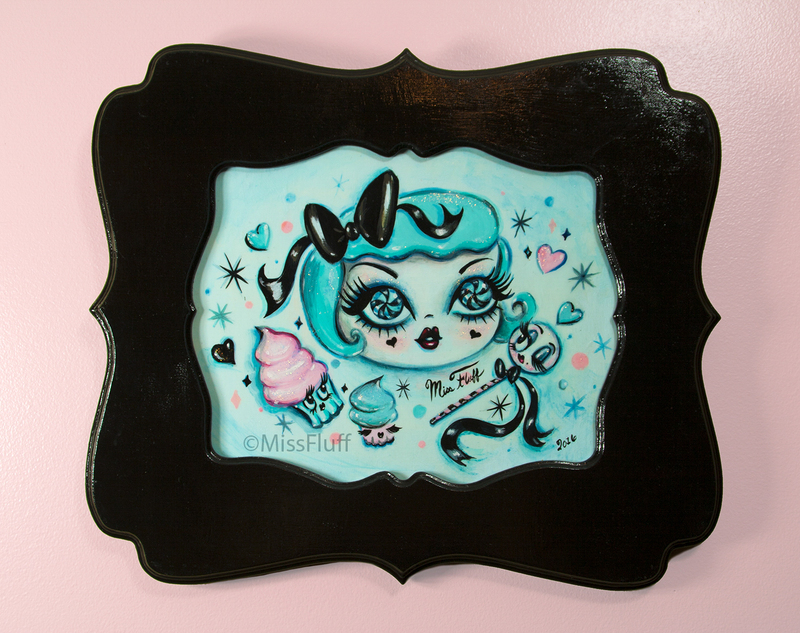 a Signed Limited Edition Print of the Mint Sugar Doll!